TIRUCHY: Passengers of Chemmozhi Express from Mannargudi to Coimbatore had the worst travel experience on Saturday, after the railway authorities dropped the S1 coach at the last moment. Over 70 passengers who had booked the tickets were accommodated in other coaches without berths. 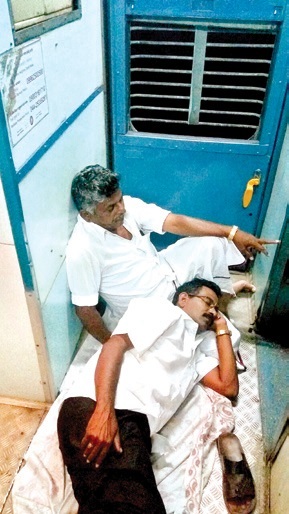 All the passengers slept on the floor till the train reached their respective destinations. The passengers who came to board the 16615 Chemmozhi Express at Mannargudi were shocked when they could not find the S1 coach, despite searching for long. With the Ganesha Chathurti falling on Monday, the usually deserted Chemmozhi Express was in huge demand on Saturday. Kakarin U (54), a revenue inspector from Kudaivasal, travelling with four family members, said that the railways could have at least alerted them via SMS about the ensuing chaos. 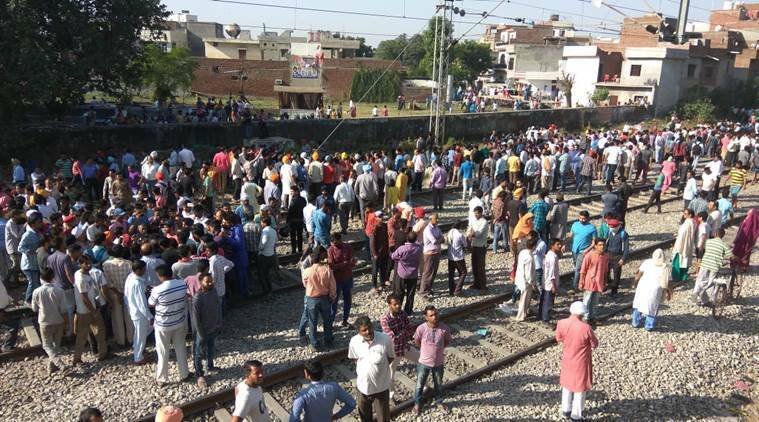 The passenger also claimed that the Travelling Ticket Examiner told them to board unreserved compartments, which were already full. Passengers found space to sit only on the floor. Speaking to Express, Lakshmanan R, a carpenter who was travelling with his family to spend Ganesh Chathurti in his native place, was disappointed as he had to make his children sleep on the floor. Several passengers were found to have booked the ticket on tatkal reservation paying extra fare. Reacting to the incident, a senior railway official from the Tiruchy Railway Division said, “The Chemmozhi Express is from the Salem Railway Division and there could have been a issue related to the rolling stock in the last minute” However, the senior official added that such things happened very rarely. But the passengers were seldom amused. Most of them reiterated that the railways should have sent a message a few hours before the departure of the train. “A simple SMS that updates the confirmation and status of the train should have informed us about the coach cancellation,” said Kakarin. A passenger on board the train also tweeted on similar lines to the Divisional Railway Manager of Tiruchy and Union Railway Minister Suresh Prabhu. However, there was no reply at the time of going to the press. Thanjavur District Rail Users Association vice-president A Giri said the passengers have the right to file a consumer complaint and seek damages. He added that the railways should have shown some responsibility and informed the passengers beforehand.